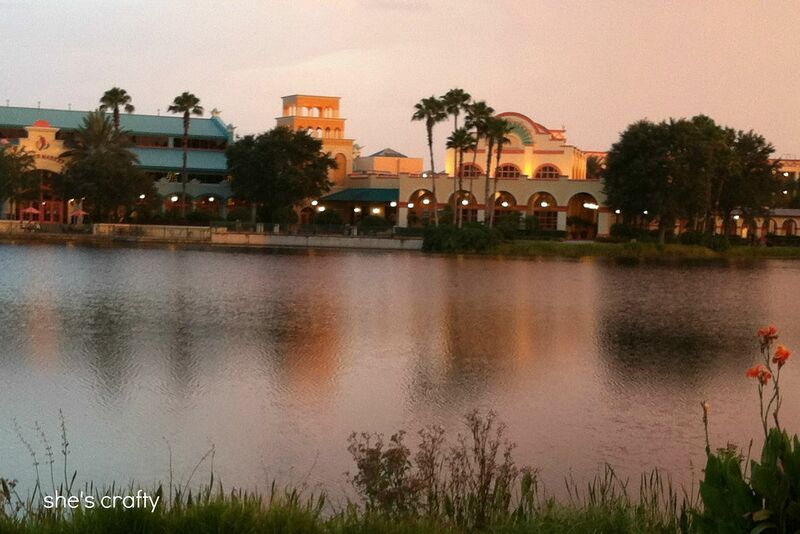 We just got back from 7 fabulous days in Orlando, Florida! 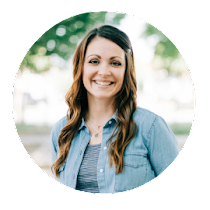 At the beginning of the last school year, we sat down with our kids and set some education goals (principals list, advanced on standardized testing, etc) so when they met them, we could go on a trip. 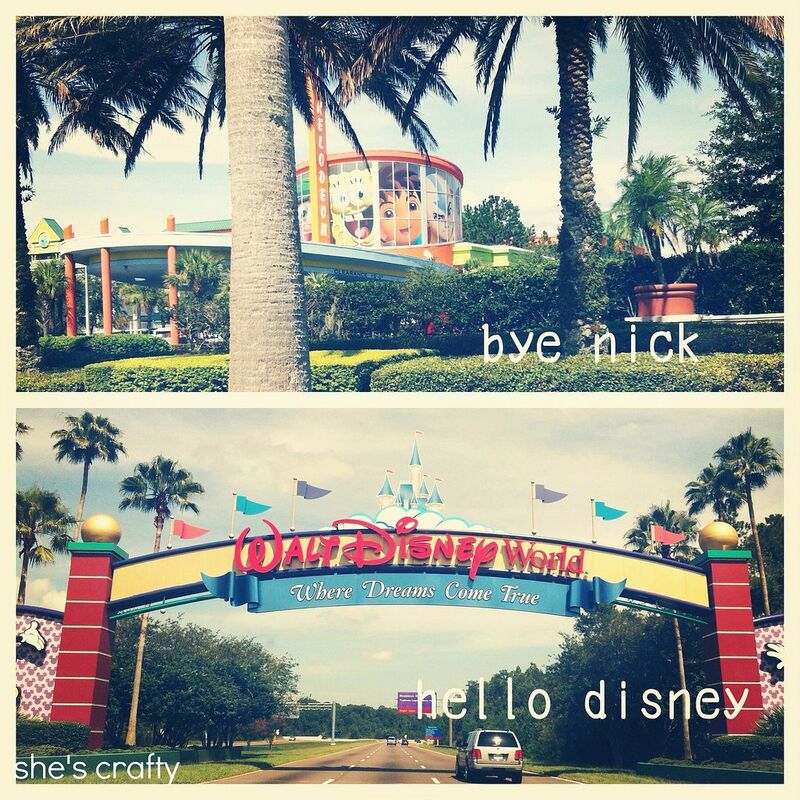 I gave them a few options of places to go and they chose the Nickelodeon Hotel in Orlando. 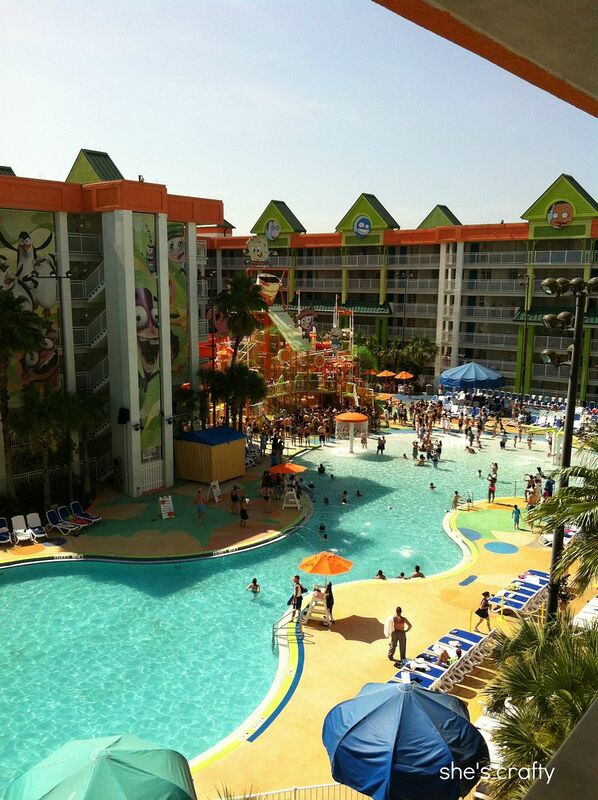 The Nickelodeon Hotel is a destination all by itself. 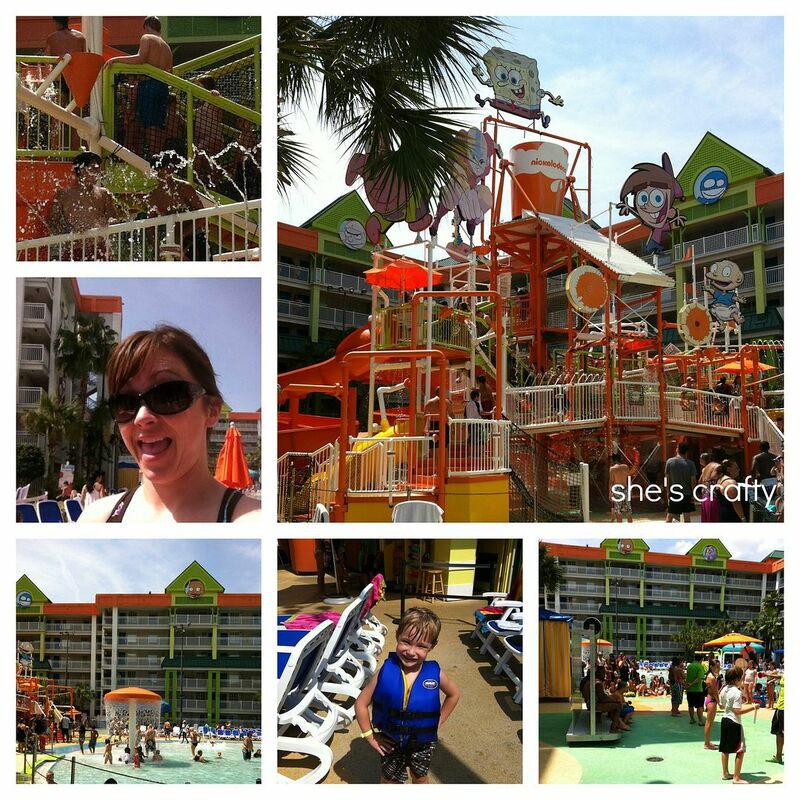 It has a big water park that is included with the hotel stay. Not to mention all of the other exciting stuff to do there, like character meet and greets, 4D shows, arcade and more. There are slides, a pool and pool side activities like slimming and night time dive-in movies. Both of my big kids were chosen to do the slime activities. It usually involves answering a question or participating in a relay and then getting slimmed. They loved it!! 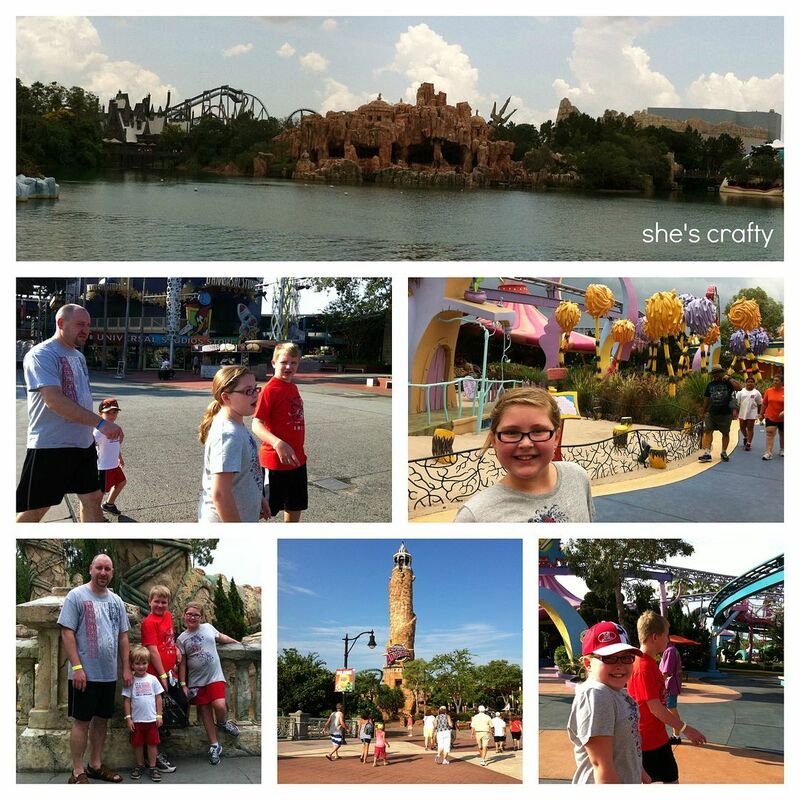 After a few days of swimming, we headed off to Islands of Adventure at Universal Studios. Which is where the World of Harry Potter is located! 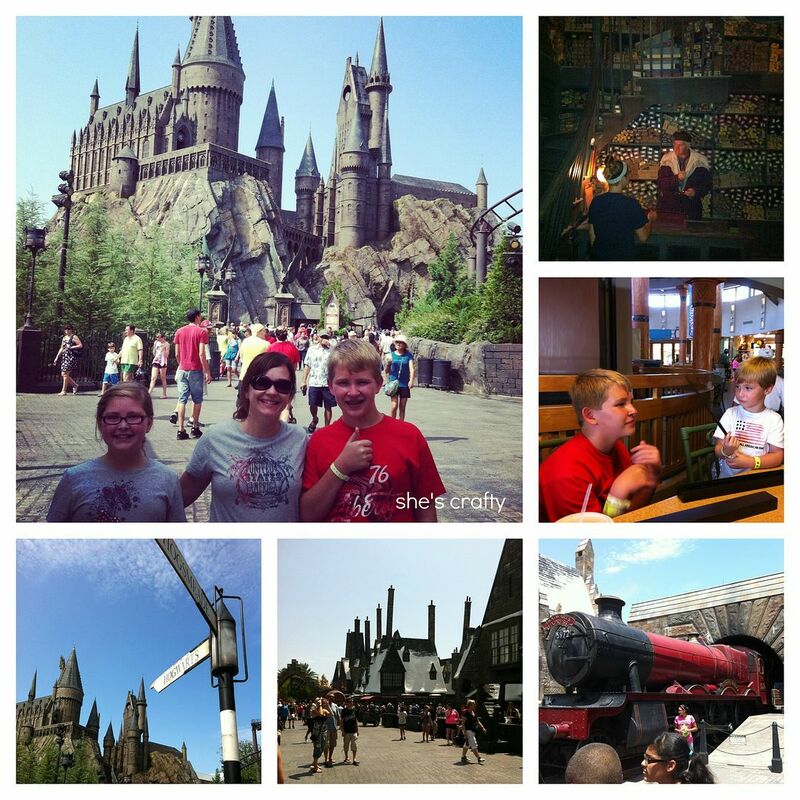 I am a HUGE Harry Potter fan and was probably more excited to go here then my kids were. We were able to go to Olivanders, Honeydukes, Zonkos and the Hogwarts Castle ride (where I came ...this close... to losing my breakfast). It was amazing to see everything in person. I was not disappointed at all. 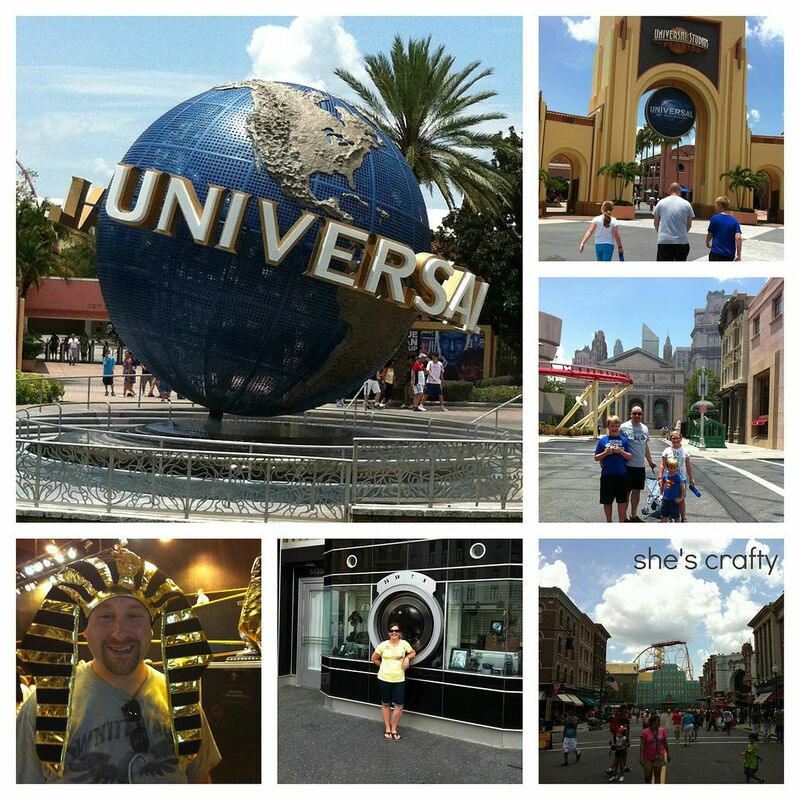 We also went to the Universal side of the park. As a surprise for our kids after the Nick Hotel, we went over to Disney World to stay for a few more days. We stayed a the Hotel Coronado. It was so beautiful! I highly recommend it and will totally stay there again when we go back. My husband had to leave to get back for work, so the kids and I packed as much as we could into the next couple of days. 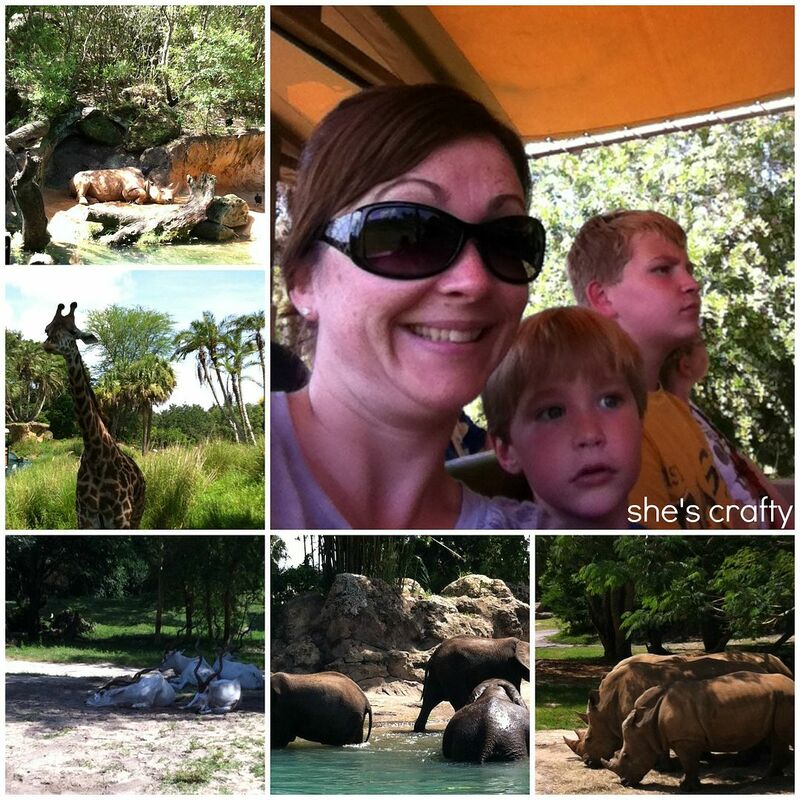 We went to Animal Kingdom. Seeing the animals on the safari ride was so exciting. I could have touched that giraffe it was so close . The tour guide told us that the Animal Kingdon park is so large that all of the other Disney parks could fit inside with room to spare. Each night all of the animals (except the crocodiles) are rounded up and taken inside to be checked out, given proper nutrition and rest for the evening in safety. 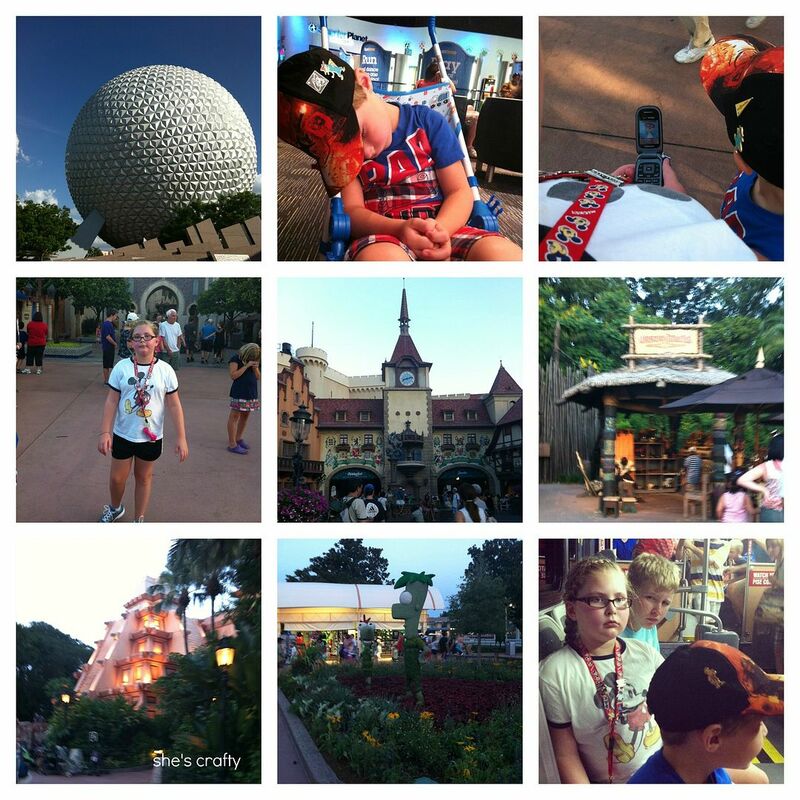 The next day we spent the entire time at Magic Kingdom. 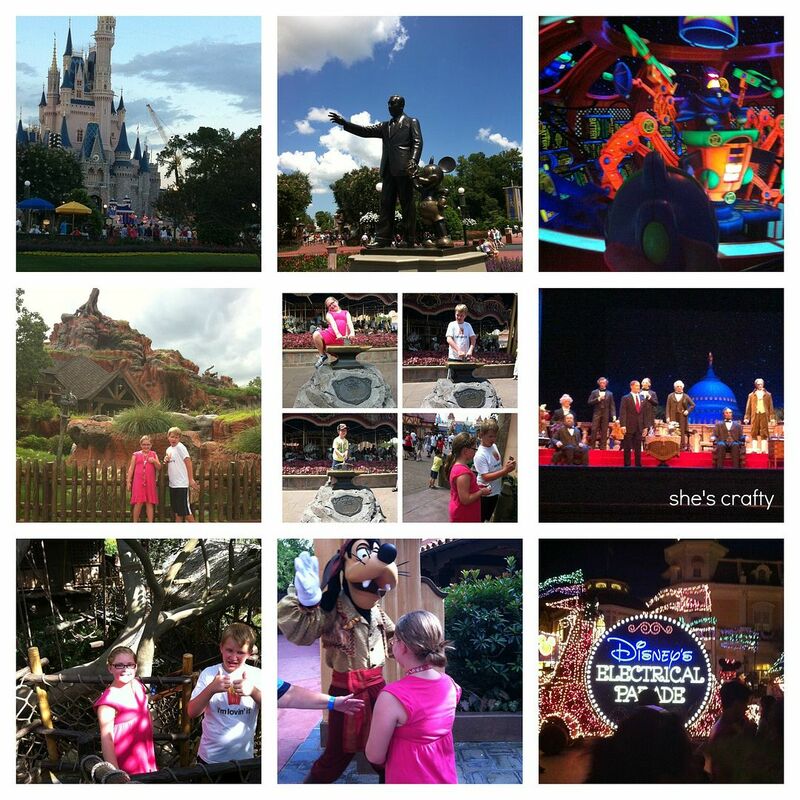 It was the most fun we've had on any of the trips we've gone to Disney. We shot Zurg with Buzz Lightyear, went on Splash Mountain, tried to pull the sword from the stone, visited the Hall of Presidents (where I had to brush back a few patriotic tears), toured the Swiss Family Robinson tree house, saw Goofy and watched the Electrical Light Parade. It was such a fun trip and a much needed time to recharge as a family. Even though it was super hot and humid, we had a fantastic time and I can't wait to go back!! Um excuse me...is Mason bigger than you? !